Last week I spent two days on the road, following the Jimmie Åkesson during his campaign trail in Sweden in the run-up for the Swedish elections. Åkesson and his party Sweden Democrats has a 20 percent support in the population a week before the elections. ﻿The populist political party is against immigration and is described as being on the far right side. 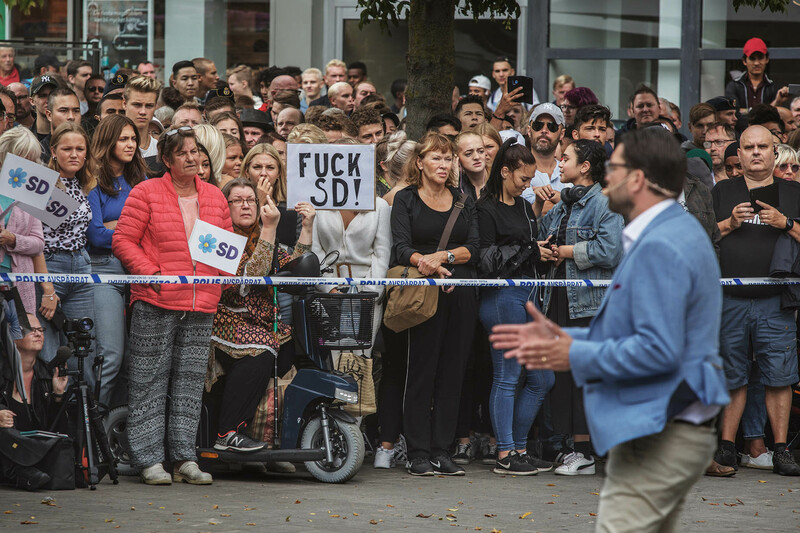 During the two day reportage for VG, we visited some of the most debated suburbs with a high percentage immigrants and also covered some of Åkessons rallies.